Have You Ever Had Pain or Discomfort in Your Body That Doesn’t Go Away? Do You Find That Moving Through the Day is Painful and Hard For You? Have You Ever Felt That You Weren’t Getting the Attention You Needed in Regular Therapy Settings? …Then This is a Great Place to Come. Who Can Commit to the Process of Healing, and Do You Know the Power of Partnering to Achieve the Goal of Your Healing…? …Then I Believe That You Can Make Good Progress Here. My name is Gary Collins. I have over 20 years of experience in relieving pain and easing dysfunction with my clients. I was drawn to this work because I like to help people with the pain they might have. My years of experience as a Physical Therapist, and also a Massage Therapist, have brought me to a level of proficient familiarity with light touch, soft tissue techniques that find and treat tightness and restriction within fascia, muscle and other soft tissues of the body, therby releasing the pain that comes from those restrictions. 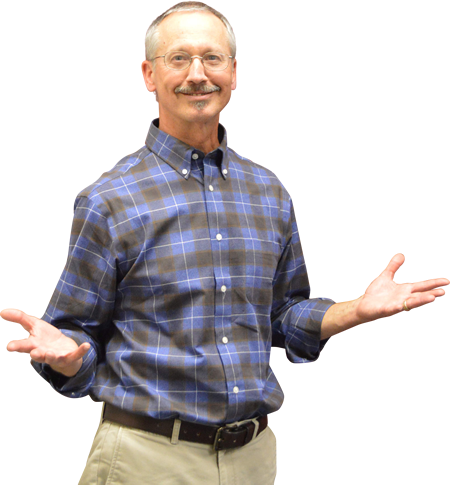 I opened Gary Collins, Hands on Healing to offer more effective healing options to those suffering from pain or dysfunction - whether from chronic pain, car accident or other health reasons - and I welcome the chance to help you find relief! Whether you call it Karma, the Golden Rule, or the Great Commandment… relationships are the only thing that really matter. All we have is one another.